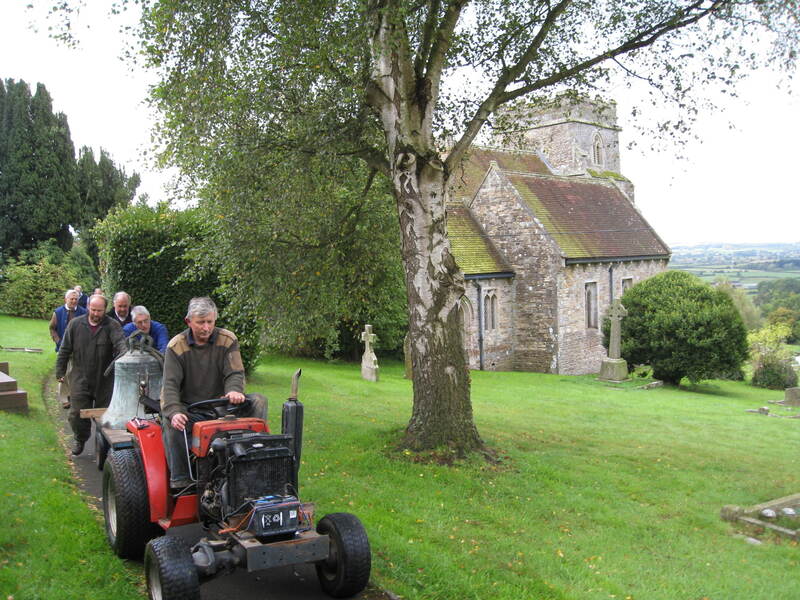 The bells of All Saints’ Church have rung out across the Vale for nearly 600 years, whether to summon villagers to prayer or to celebrate special events. 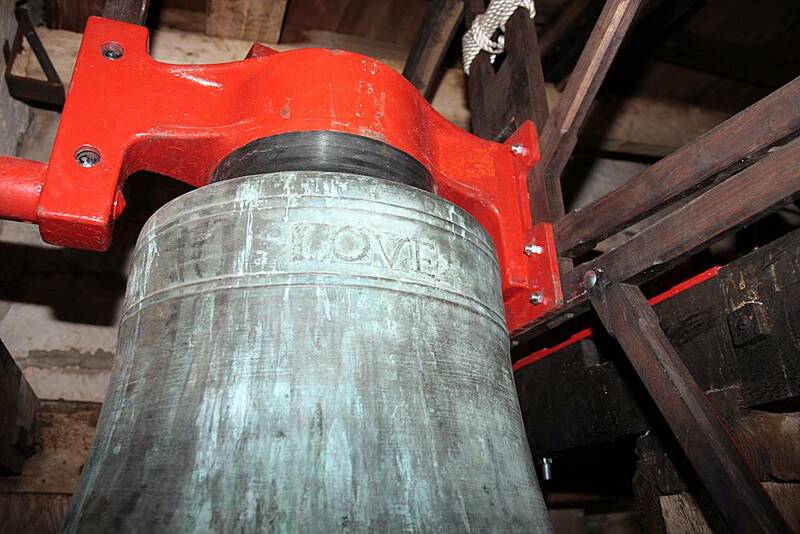 A Bell Restoration Project had begun in 2000 but, by 2010, the medieval oak frame on which the bells were hung was in such desperate need of repair and strengthening that the very future of this joyful sound was in jeopardy. Previous fundraising was not keeping pace with inflation but, thanks to a newly formed fundraising committee and a massive community effort, the remaining £28,000 was raised in 6 months, allowing work to commence. 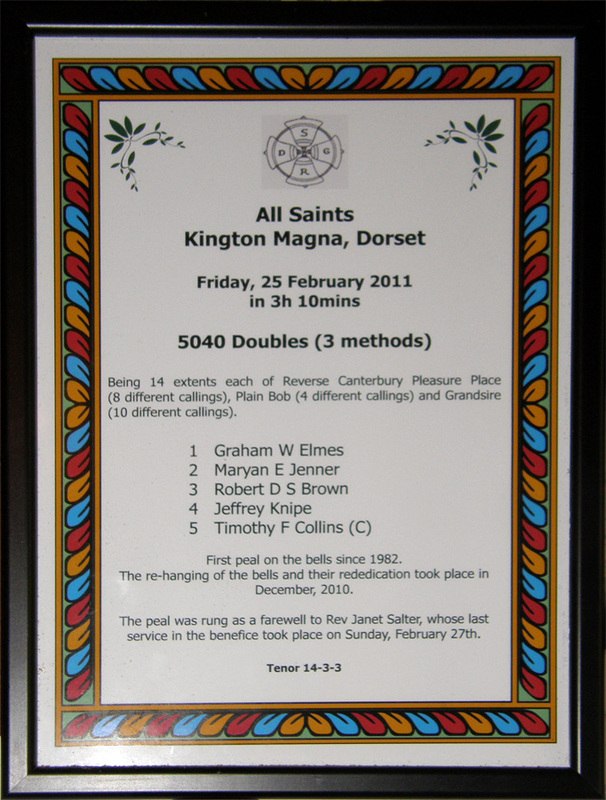 This was done during November ’10, often in sub-zero temperatures, with much local voluntary labour and hospitality assisting the Bell-hanger. The bells were removed from the tower and the original frame was repaired, treated with preservative and lifted to allow a new steel supporting frame to be inserted beneath it. The bells themselves were taken to the foundry in Loughborough to have new crowns fitted so that they could be re-hung on ball-bearings to make them easier to ring. On their return, they were also turned so that the clappers would hit on the unworn sides. 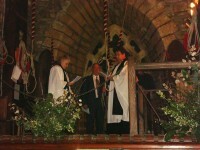 After completion of the project a Service of Celebration and Re-dedication was held on 17th December ’10. The clock bell, which is currently silent, was cast in 1420. The Tenor bell (No. 4) weighs over 12 cwt. and is said to be one of only six of its type. It was cast in the Salisbury foundry between 1380 and 1400 and is marked with a cross of four fleur-de-lys, accompanied by a set of large Lombardic crowned capitals which read Sancte Georgi ora pro nobis (St George pray for us) cast into it. Bells No. 1 and No.2 are inscribed ‘Love God I.W. 1608’ (John Wallis of Salisbury). Bell No. 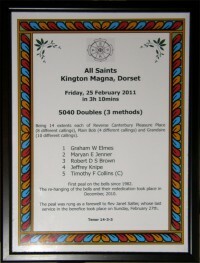 3 is of 1648, probably by Robert Austen, whose bells were noted for their rich ornament and unusual inscriptions. 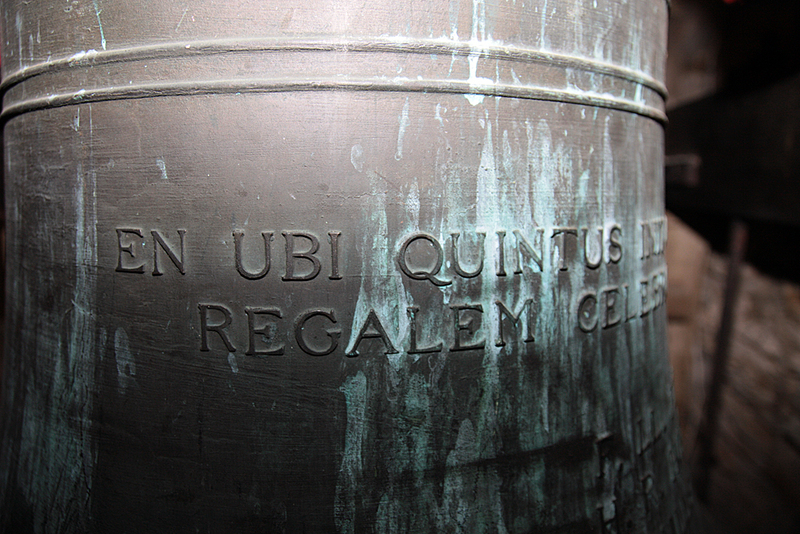 This bell bears the sentiment ‘I sound to bid the sick repent in ho(p)e of life when breath is spent’. The Treble bell (No. 5), cast by Mears and Stainbank of Whitechapel in 1914, is inscribed ‘En ubi quintus init, quintum Rex Georgius annum regalem celebro vox ego quinta diem’ (Look, when King George V enters the fifth year of his reign, I the fifth voice celebrate the date). The School Log Book records the dedication service (in 1914) to be ‘the grandest and most inspiring of any within the memory of the present generations’. 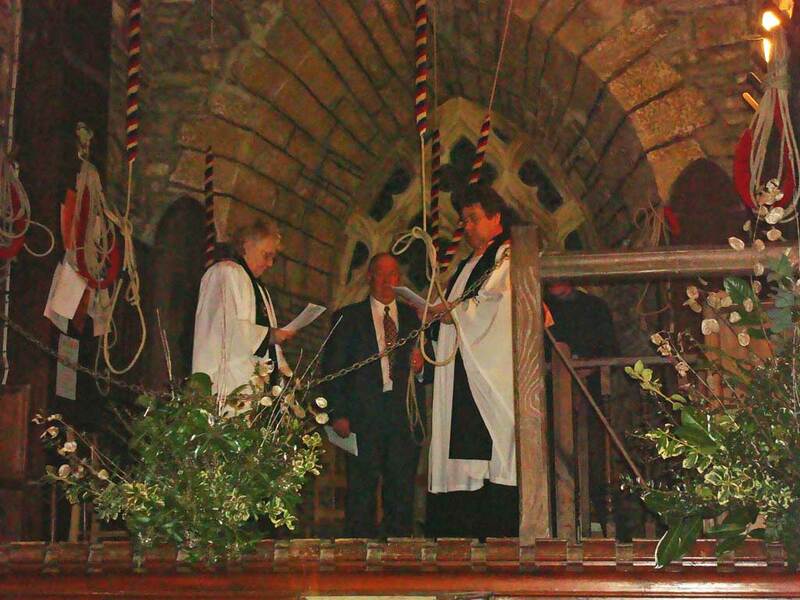 It was at this time that the ringing loft at the west end was opened to the church.